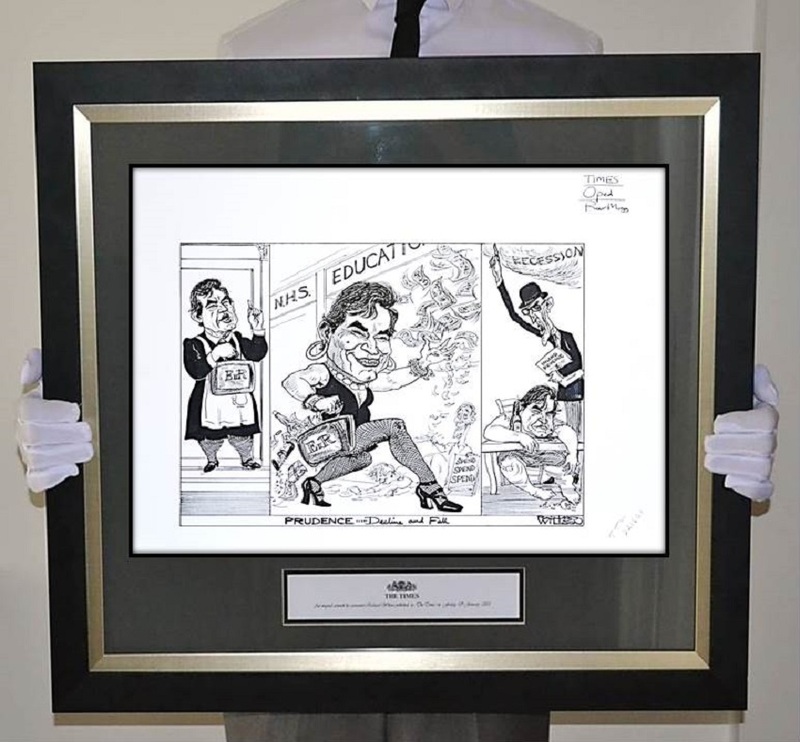 Size unframed : 21" x 16"
Size framed : 28" x 26"
Many of the prints in this collection display details of the publication the cartoon appeared in. For example OPED TTM 221601. This information is for the newspaper editorial team and is deliberately kept in view when framing as in our opinion this adds interest and value to the presentation. TTM = The Times /OPED = Opposite Editorial/ 22 = day of publication or completion/16 = Page number / 01 = position on page. Artist's light finger markings, otherwise in good condition. 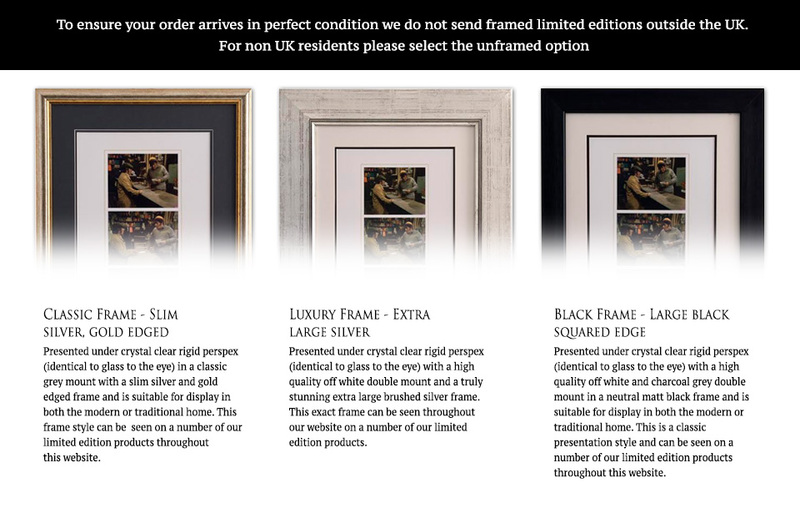 Size unframed 21" x 16"
Size framed 28" x 26"